“Any special offerings today?” Archbishop Franzo King asked his congregation when passing the collection basket at Sunday’s service. 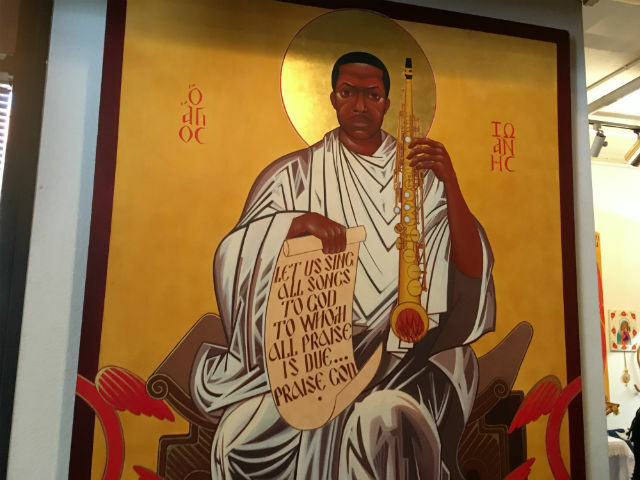 “Did somebody come and bring $10,000?” The Archbishop’s congregation is that of the St. John Coltrane Church, a San Francisco institution that has held a jazz-based religious mass using the music of John Coltrane for the last 45 years. The church has been delivered an eviction notice at its Fillmore and Eddy Street location, and SFist was on hand Sunday to get pictures and video of what well may have been the church’s last service in the Fillmore District. While the eviction seems likely, the church continues to fight it. “We may be here next Sunday,” Archbishop King told SFist hopefully. But if yesterday was the church’s final service, the video below shows the concluding number “Psalm 23 - Acknowledgement” from Coltrane’s album “A Love Supreme” that ended Sunday’s mass with a lengthy jam featuring two saxophones, a baritone sax, drums, bongos, keyboard, a trumpet, harmonica, a tap dancer and a couple of toddlers on the tambourine. “When we started this church, I couldn’t play dead on the saxophone,” the archbishop-saxophonist quipped before the service. Technically, the very last song performed at Sunday’s service would have been the solo, a capella vocal homage seen below. But the church continues to hold out hope that they can remain at Fillmore and Eddy, and is pursuing several different avenues to remain at their current location. At Tuesday’s Board of Supervisors meeting, Supervisor Eric Mar will introduce a resolution honoring the Coltrane Church for Black History Month and supporters are encouraged to attend a 2 p.m. rally beforehand on the steps of City Hall. A change.org petition protesting the eviction currently has more than 2,500 signatures. 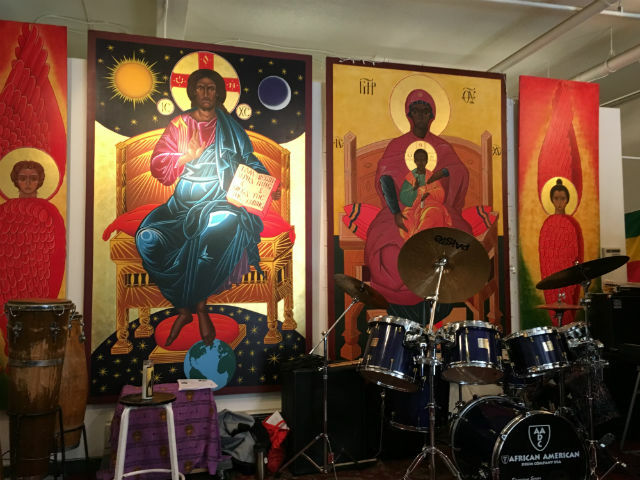 A March 20 demonstration supporting the church is also in the works, so check the Church of St. John Coltrane Facebook page and Twitter feed or listen to their show on KPOO Tuesdays 12 p.m. - 4 p.m. for more information.